Yoga teacher training in India at Rishikesh - RYS 200, 500. 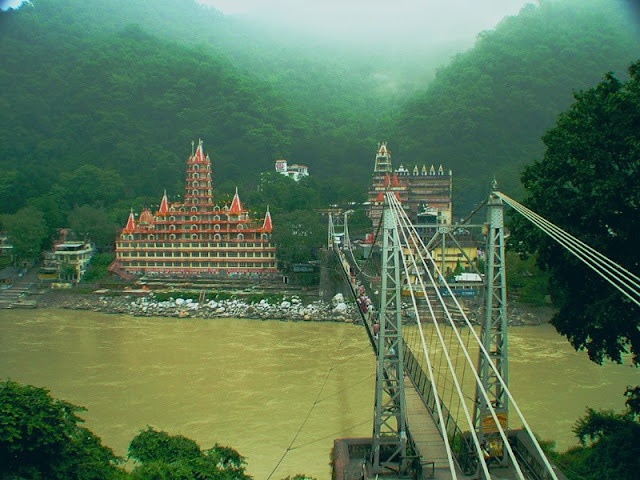 I arrived in Rishikesh seven days ago to join the 300 hour hatha yoga teacher training in India. I came here with a purpose of self-healing and to deepen my yoga practice and knowledge. I did not expect that I was about to meet so many amazing new friends. I have never been surrounded by so many beautiful souls. The people who work here and all the students here are absolutely lovely. Being in the yoga capital of the world on the Ganges River at the foothills of the Himalayas is truly magical. I feel right at home here and can sense a genuine, loving and open vibe from everyone I meet. We start the day bright and early with morning tea and sinus cleansing using a neti pot, which can feel awkward the first time but it really cleans out your sinuses so you can breathe! After cleansing our sinuses we go up for morning practice, then breakfast with a lot of fresh fruit followed by theory class.